SUTRAA Exhibition an exhibition is par excellence due to its thematic and season based sound planning, strong marketing and efficient execution. Sutraa delivers what it promise. Sutraa was born for the growing need to have a platform for emerging and established designers that can help promote their innovative collections of varied items under one roof. Sutraa - The Indian Fashion Exhibition is the most thrilling event among all as it has always a room for adding more and more excitement for its lovely shoppers of city. 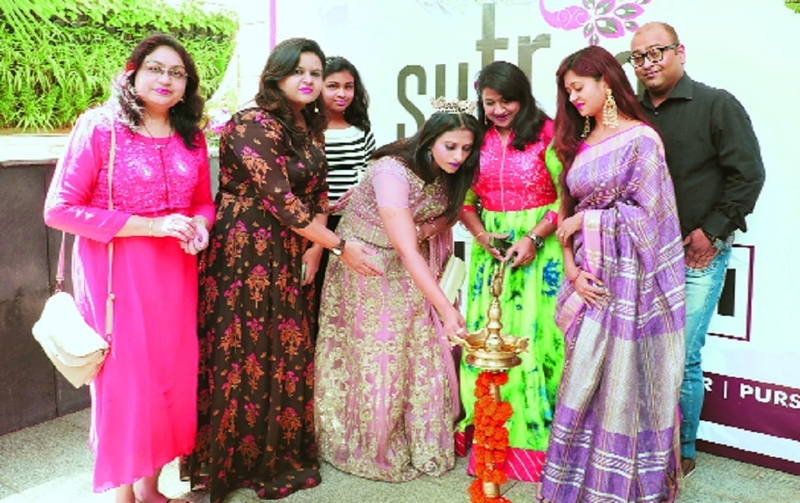 Sutraa has opened doors of its 27th edition of Spring Soiree at Tuli Imperial, near Ramdaspeth, with the trendiest collection of Spring Summer which adds flawless, modern, elegant products. “Wear your confidence and shine bright, for a woman can look beautiful, elegant and fashionable in any apparel, if worn with confidence affirms Sutraa. Offering the city’s fashion aficionados the best of emerging and established fashion, lifestyle, jewellery, accessory and other boutique brands all under one roof,” informs a press release.. Since 9 years, the two young directors Umesh and Monika Madhyan have seen a myriad of successful pop-ups and exhibitions revolving around different concepts venues, marketing strategies and designers. Starting from the array of designers showcasing the best of Indian wear, bridal wear Indo -Western and Western wear to jewellery, accessories, home decor, kidswear, resort wear, footwear, casual wear, health wellness, beauty-skin care, kidswear, handicraft and much more. The two day’s exhibition started on March 27 and will end on March 28. One can get ready to spruce up wardrobe with the hottest fashion trends as its the season to be stylish as Sutraa brings a hand picked collections of established and fresh designers from all across India.